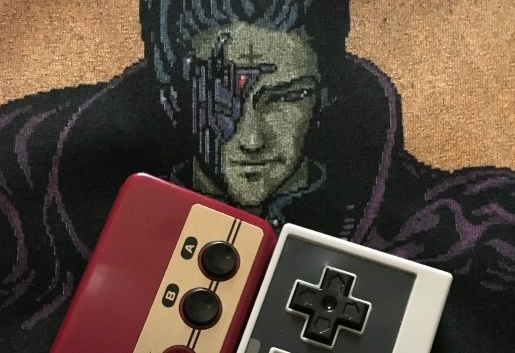 Localization is a tricky business, especially due to the myriad of differences between both the English and Japanese languages and cultures. 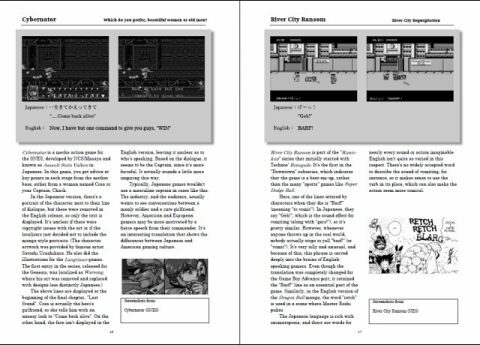 Retro Game Super Translation Selection examines 101 lines of dialogue from classic video games, compares how they were localized, and includes some explanation for the business or cultural reasons surrounding such changes. 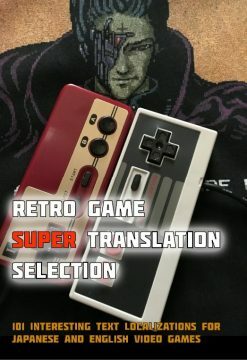 Originally authored by a professional video game translator, this is a localized version of a doujinshi released at the Game Legend retro game event in late 2016, and features a unique perspective rarely seen in the English speaking world! 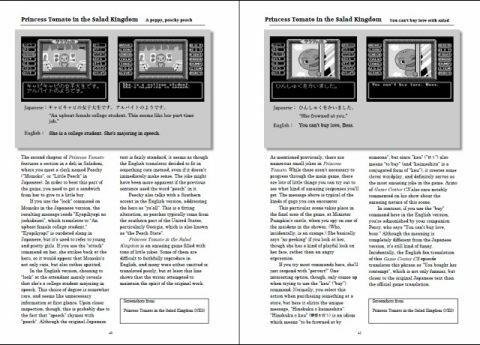 Also includes four columns by guest writers that compare English and Japanese onomatopoeia, examines different game titles between territories, explains the math behind retro games, and illustrates the many changes made to the Pokemon Game Boy titles. 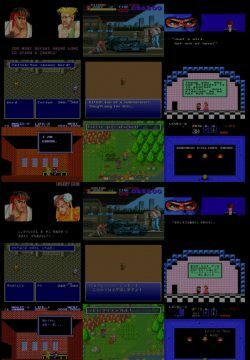 Final Fantasy, Dragon Warrior / Dragon Quest, Super Mario World, Landstalker, Lunar: The Silver Star, Zero Wing, River City Ransom, Cybernator, Pokémon, Lufia II, Shadowgate, Shadowrun, Maniac Mansion, Princess Tomato in the Salad Kingdom, and many more! 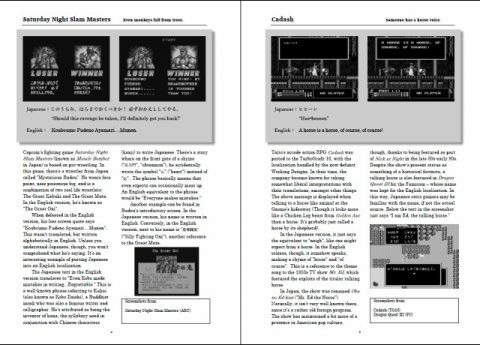 Everyone who contributes $5 or more to the site’s Patreon will receive free PDF and Kindle MOBI files of this book, as well as digital copies of the 200 Best Games book, The Guide to Retro Indie Games Vol. 1, Contra and Other Konami Classics, The Complete Guide to the Famicom Disk System, The Guide to Shoot-Em-Ups Vol. 1, Sega Arcade Classics Vol. 2, the Sega and Sonic Fan Jam 2016 Fan Book, and The Guide to Retro Indie Games Vol. 1. Make sure to check out this post for the download links. 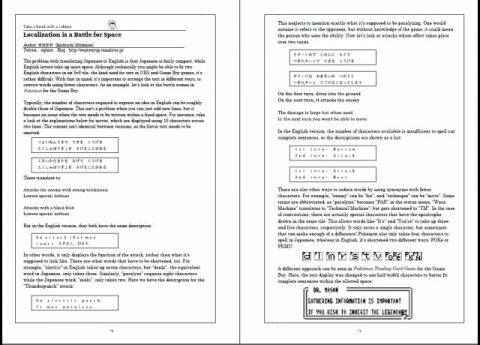 Paperback books are in black and white, while the Kindle and PDF versions have color screenshots.